John Moldovan is the 2016 Kenilworth Chess Club Champion, on tiebreaks over Life Master Mark Kernighan. John is just the 2nd non-Master to win the title in the club's 44-year history. Joe Renna won the Reserve Section. A reminder: The 25th annual Kenilworth Chess Club Championship starts tonight. Rounds will commence at 8:30 p.m. on March 17, 24 & 31 + April 14 & 21. Prizes: Trophies to winners of each section. Other trophies (based on the number of participants) to be awarded. Register with Treasurer Geoff McAuliffe during our 3/3 and 3/10 meetings or before 8:25 p.m. on 3/17 @ Kenilworth Community Center, 575 Boulevard, Kenilworth, N.J.
Past Champions include LM Scott Massey (who has won the title 12x), Rene Ray (1996), FM Steve Stoyko (2005-2007), LM Mark Kernighan (2008, 2015), IM Yaacov Norowitz (2009), LM Arthur Macaspac (2010, 2012), NM Ken Chieu (2011) and FM Praveen Balakrishnan (2013, 2014). 9 players took part in last year's event. Post updated 3/25/2016 @ 2:32 p.m.
A reminder: Tomorrow night (Thursday 3/10), the Kenilworth Chess Club will present a lecture by FIDE Master/ Correspondence IM Wayne Conover and National Master Gene Salomon, co-authors (along with NM Steve Pozarek) of 40 Years Of Friendship, 100 Games Of Chess. There will be no charge for admission. FM/SM Praveen Balakrishnan will be giving a simul tonight. The exhibition will begin at 8:15. The participation fee is $5. Proceeds will go toward refreshments. The Kenilworth Chess Club is very pleased to announce that FIDE Master Praveen Balakrishnan will be giving a simultaneous exhibition on January 28th. Praveen, who won the 2013 and 2014 Kenilworth Championships, is the 3rd highest-rated 13-year old in the United States and the 16th highest-rated player in New Jersey. He also stands 16th in the World in his age-group. $5 participation fee to defer the cost of refreshments. Praveen is not accepting any money for the simul!! Please arrive early (the club opens at 8 p.m.) so we can have everyone seated and ready to go at starting time. Time Control: G/55+5 second increment. Rounds to start at 8:30 p.m. on February 4, 11, 18 & 25. Please register with Geoff McAuliffe or John Moldovan during our January meetings or before 8:25 p.m. on February 4th. 1 half-point bye per player allowed. Must commit before the end of round 2. Prize fund: 100% of EF minus rating fee. Number of prizes (b/10 entries): 3. More players = more prizes. Projected prizes (b/10 entries): $20 1st, $15 2nd, $10 U1800. Players must have a valid USCF membership that is active through to the final date of the tournament. The Tournament Committee reserves the right to make changes as are deemed necessary for the good maintenance of the tournament as allowed by USCF rules. A non-rated section will be added if we get at least 4 players requesting one. On Thursday, March 10th, at 8:15 p.m., the Kenilworth Chess Club will present a lecture by FIDE Master/ Correspondence IM Wayne Conover and National Master Gene Salomon, co-authors (along with NM Steve Pozarek) of 40 Years Of Friendship, 100 Games Of Chess. Post revised 3.9.2016 @ 10:53 p.m.
International Master Yaacov Norowitz will be giving a lecture at the Kenilworth CC tonight, beginning at 8:15. The Leon Hrebinka Memorial Swiss, which (weather permitting) will run February 4-25. The Club Championship, which will begin March 17th. The Summer Tournament, which, as usual, will run June through August. 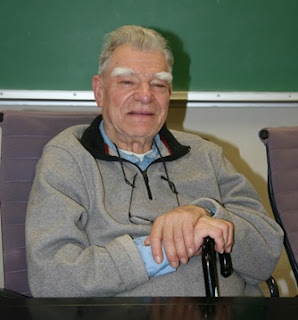 January 7 - Lecture by IM Yaacov Norowitz. Admission: $5. January 14 - Skittles + Officers & Trustees Meeting. January 21 - Swap Meet. Sale & trade of chess books & equipment. Members & invited guests only. If you are a non-member and would like to attend, email a request to John Moldovan by January 20th. February 11 - Leon Hrebinka Memorial Swiss: Round 2. February 18 - Leon Hrebinka Memorial Swiss: Round 3. February 25 - Leon Hrebinka Memorial Swiss: Round 4. 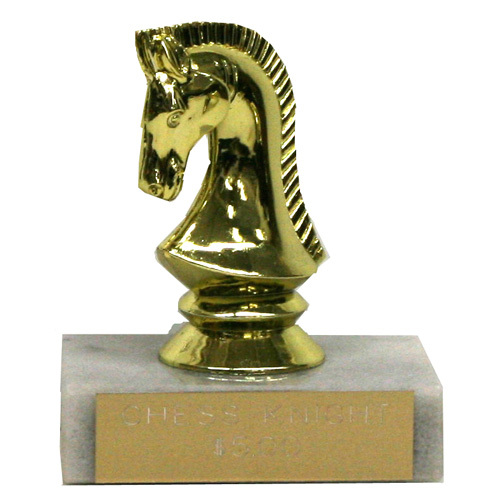 March 17 - 25th Annual Kenilworth Chess Club Championship: Round 1, 8:30 p.m.
5 to 7 rounds. We are planning to have 2 sections: a 6-8 player Open Round-Robin & a Reserve Swiss. If we have a 7-round tournament, rounds will also take place on April 28th & May 12th. Postponed games from Rounds 1-3 will be made-up on April 7th. Postponed games from rounds 4-5 or 4-7 will be made-up on April 28th or May 19th. KCC is required. Dues for 2016 are $10 for age 17 or less, $10 for those age 65+, $20 for everyone else. Register with Treasurer Geoff McAuliffe during our 3/3 and 3/10 meetings or before 8:25 p.m. on 3/17 @ Kenilworth Community Center, 575 Boulevard, Kenilworth, N.J. Late-joins accepted until round 2 is paired. March 24 - Club Championship: Round 2, 8:30 p.m.
March 31 - Club Championship: Round 3, 8:30 p.m.
April 7 - Club Championship: Postponed games from rounds 1-3. April 14 - Club Championship: Round 4. April 21 - Club Championship: Round 5. April 28 - Club Championship: Round 6, if necessary, or postponed games from rounds 4-5. May 12 - Club Championship: Round 7, if necessary. June 2 - Kenilworth Summer Tournament: Week 1 of 13. June 9- Kenilworth Summer Tournament: Week 2. June 16- Kenilworth Summer Tournament: Week 3. June 23- Kenilworth Summer Tournament: Week 4. June 30- Kenilworth Summer Tournament: Week 5. July 7 - Kenilworth Summer Tournament: Week 6. July 14 - Kenilworth Summer Tournament: Week 7. July 21 - Kenilworth Summer Tournament: Week 8. July 28 - Kenilworth Summer Tournament: Week 9. August 4 - Kenilworth Summer Tournament: Week 10. August 11 - Kenilworth Summer Tournament: Week 11. August 18 - Kenilworth Summer Tournament: Week 12. August 25 - Kenilworth Summer Tournament: Week 13. September 1 - Garden State Chess League Business Meeting. September 8 - To be announced. September 15 - To be announced. September 22 - To be announced. September 29 - To be announced. 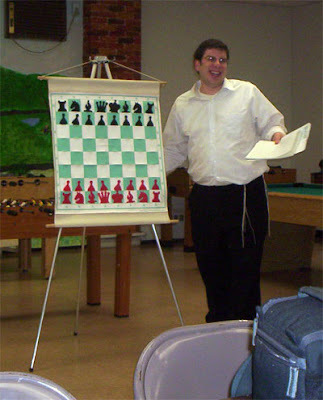 October 6 - Garden State Chess League match: Kenilworth vs. a team TBA (tentative). October 13 - To be announced. October 20 - To be announced. October 27 - To be announced. November 3 - Garden State Chess League match: Kenilworth vs. a team TBA (tentative). November 10 - To be announced. November 17 - To be announced. November 24 - NO MEETING. Closed for Thanksgiving. December 1 - Garden State Chess League match: Kenilworth vs. a team TBA (tentative). December 8 - To be announced. December 15 - To be announced. December 22 - Holiday Party and Business Meeting. December 29 - To be announced.